FLORAL KEEPSAKE BEADS MADE FROM YOUR FLOWERS. 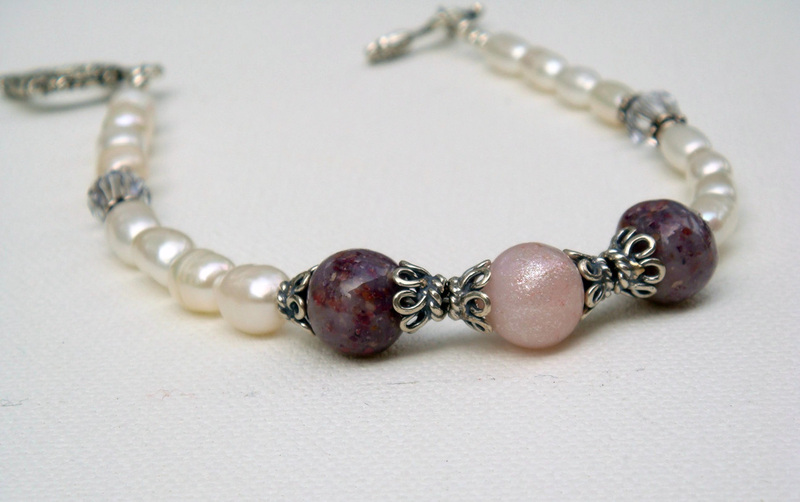 Flower petal beads are the centerpiece of this 7.5" freshwater pearl bracelet. Adding highlights to the bracelet are Swarovski crystals and sterling silver findings.